Portal 2 fans rejoice: Valve has released the Perpetual Testing Initiative DLC, otherwise known as a level editor / puzzle maker. The free content was automatically rolled out to PC and Mac title owners yesterday via Steam. The DLC allows gamers to create Aperture Science trials from within the game using a simplified yet powerful set of tools. In an interview with Neogamr, Valve team member David Sawyer told the publication that the editor needed to let anyone pick it up and not just use it, but enjoy the process at the same time. He expects gamers to have fun with the editor even if they never share their work with others. Players are invited to upload their custom maps to the Steam Workshop which can then be downloaded and voted on by other gamers. There are already a large number of user-generated levels to try, impressive considering the editor has only been available for one day. Speaking of impressive numbers, Sawyer noted that Valve has sold over 4 million copies of the first-person action-puzzle game worldwide since its release just over a year ago. In the same interview, the author asked if the puzzle maker would be available for the Xbox 360 and the PS3. Those questions, however, went unanswered. 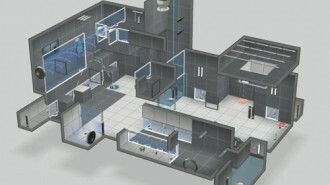 Portal 2 already had an editing tool but most in the community found it too complex and difficult to use. The Perpetual Testing Initiative should solve the majority of those issues.